One of the many wonderful resources available at the SAGHS library is the vertical files collection. The vertical files contain copies of original documents (and in some cases, the original documents themselves), including, but not limited to, vital records, wills, land records, and military records. In addition, researchers will find family group sheets, pedigree charts, lineage society applications, correspondence, obituaries, biographical information, and photographs from the 19th and 20th centuries. While many families featured in the vertical files have a Texas connection, the collection also includes genealogical information from many states and other countries, as well. The vertical file materials are digitized, and available for searching and printing from the library computers. 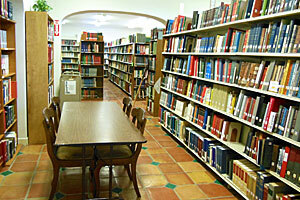 Hard copies of the materials may be viewed in the library annex. Make plans to come in soon and view these wonderful resources. Boy Football Player and … Home Planner?